Consumer Spending Rose 0.7 Percent In February : The Two-Way With higher prices for gasoline factored out, spending rose a more modest 0.3 percent. Meanwhile, personal income rose a healthy 1.1 percent. 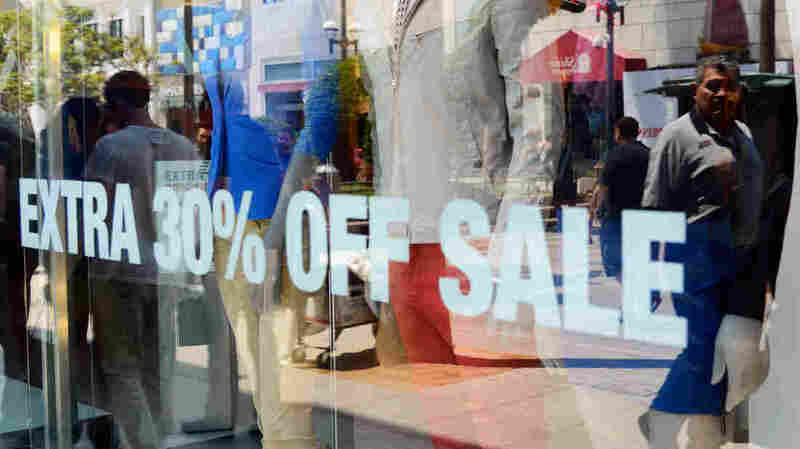 There was a slightly larger-than-expected increase of 0.7 percent in consumer spending from January to February, the Bureau of Economic Analysis says. Higher gasoline prices, though, were much of the reason for the rise. According to the bureau, if spending is adjusted for inflation the increase was a more modest 0.3 percent — the same as in January. And higher energy costs were behind most of the inflationary pressures last month. Consumer spending is closely watched because consumers buy about 70 percent of all the goods and services that companies produce — meaning they drive the economy. Meanwhile, personal income shot up 1.1 percent.